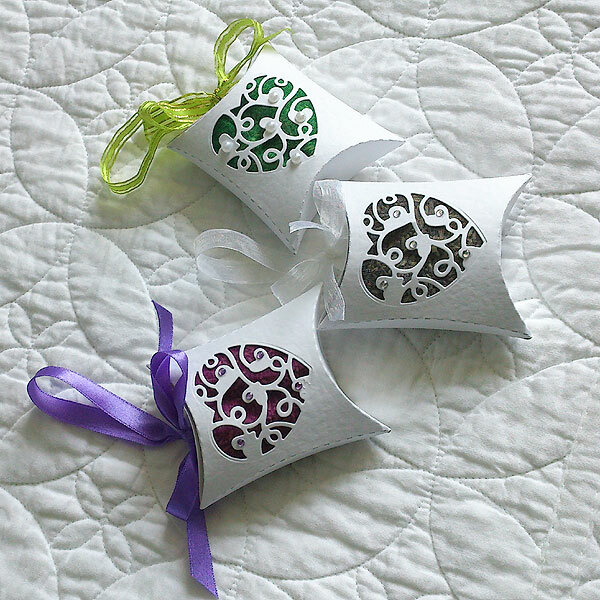 These pretty sachets only used just one of the heart dies from a set you'll be seeing on Create and Craft tomorrow. I cut into the pillow box on both sides, then backed with small strips of coloured organza, filled with lavender, added a loop and a bow to each and a little bling too. 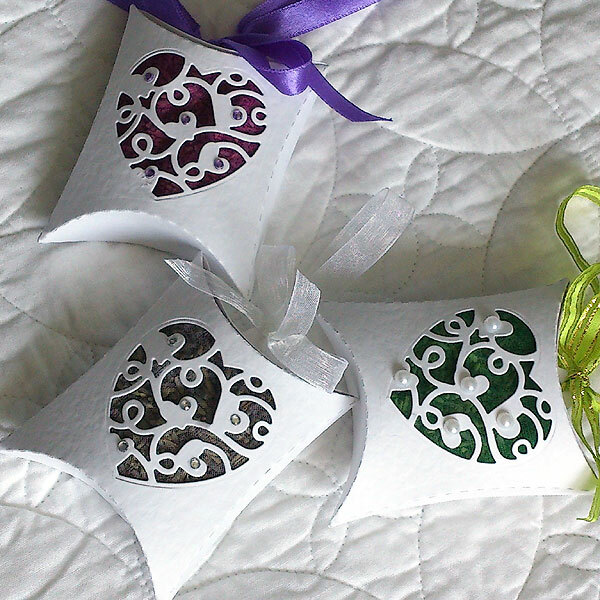 A delightfully fragrant idea to use as favours or to give as a gift to scent your wardrobe. Don't miss the lovely Jo on Create and Craft at noon on Friday.